Today Volkswagen faces a deadline imposed by the California Air Resources Board, this time to submit a fix plan for 80,000 SUVs and cars with the 3.0-liter V6 diesel engine. The last time VW submitted a fix plan to CARB, for the 2.0-liter engines, it was rejected for not meeting the state’s requirements. The second largest automaker still hasn’t announced any timetable for winning approval from U.S. and California regulators to address excess emissions in 575,000 2.0 and 3.0 liter U.S. vehicles. In September, VW first acknowledged installing software that allowed diesel vehicles to emit up to 40 times legally allowable pollution. VW must submit a plan to the California Air Resources Board (ARB) to recall and fix about 80,000 3.0 liter SUVs, including the 2009-2016 VW Touareg, 2013-2016 Porsche Cayenne and 2014-2016 Audi A6 Quattro, Audi A7 Quattro, Audi A8, Audi A8L, Audi Q5 and 2009-2016 Audi Q7. At a Jan. 21 court hearing, VW lawyer Robert Giuffra said a buyback is possible “but that hasn’t been determined yet,” according to a court transcript. FCA reiterated that all its vehicles comply with emission regulations and the company doesn’t cheat on emissions tests. The automaker said it will offer the new pollution settings starting in April. The company will also add a different filtering technology, called selective catalytic reduction, to more of its diesel cars starting from the second quarter of 2017. FCA said it wants to adapt to new testing procedures being developed in Europe to better reflect real driving conditions. “As a voluntary measure, not mandated or requested by any regulatory authorities, FCA will be updating its Euro 6 calibrations with new data sets to improve emission performance in real driving conditions,” the company said in a statement. Yesterday’s big news was that Tesla Motors is applying for a dealership license in Michigan, where its direct sales and Tesla Story galleries are banned. I guess Tesla’s holding its ground on the commitment to a direct-sales model. But for how long? Fiat Chrysler used its Jeep and Dodge brands to pound through Winter Storm Jonas last month and grind out a 6.9 percent gain in January. FCA said it sold 155,037 vehicles in January, its 70th consecutive month of year-over-year sales gains and the company’s best January sales in nine years. FCA’s Dodge brand saw its sales rise 19 percent over a year ago, while Jeep sales climbed 15 percent. Ram sales rose 5 percent, but both the Chrysler and Fiat brands were down sharply. Nissan Motor Co., meanwhile, said it set a January record with sales improving 2 percent to 105,734 vehicles. Sales of trucks, crossovers and SUVs surged 18 percent, led by the Murano’s 46 percent gain. Car sales dropped 7 percent. Infiniti sales fell 12 percent to 8,514 vehicles. At Ford, a modest increase in truck and SUV sales was more than offset by a 12% drop in sales of passenger cars. Sales of the F-Series pickup trucks fell 5.2% to a still substantial 51,540. While Ford’s total fell, popularity of pickups and SUVs helped drive up the average price per vehicle sold up by $1,800, said Mark LaNeve, Ford vice president, U.S. marketing. Neutral: How Long Can This Drag On For VW? I have no doubt the company’s engineers (and lawyers) are working to fix this, but it’s also deeply surprising it’s gone on this long. 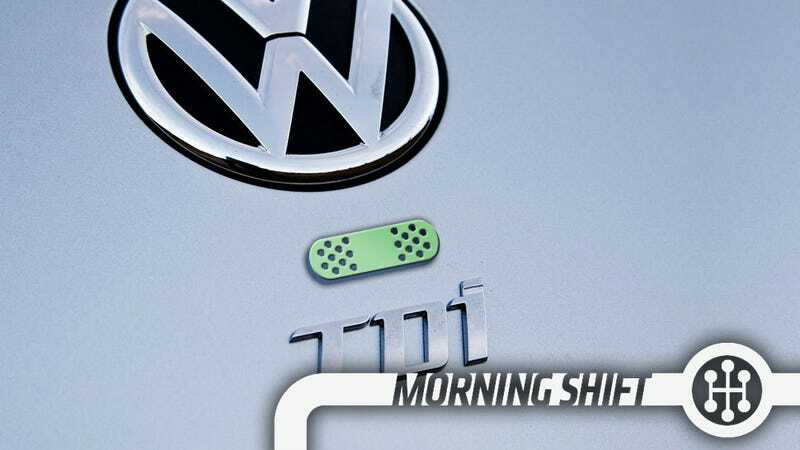 When does VW need to provide answers to owners and regulators?